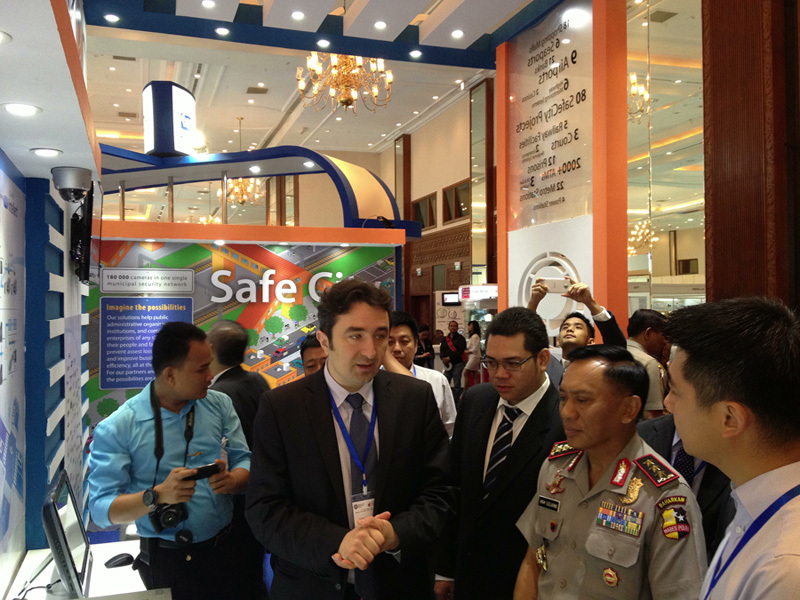 AxxonSoft has made its second consecutive appearance at Safety & Security Asia, participating in the industry event in Jakarta, Indonesia from 5 to 7 December 2012. As the biggest economy in Southeast Asia, Indonesia offers a homeland security and commercial security market of intense interest for AxxonSoft. AxxonSoft solutions have been deployed over the years in diverse sectors of the Indonesian economy, including banking, highways, traffic management, sea ports, airports, and commercial building security. 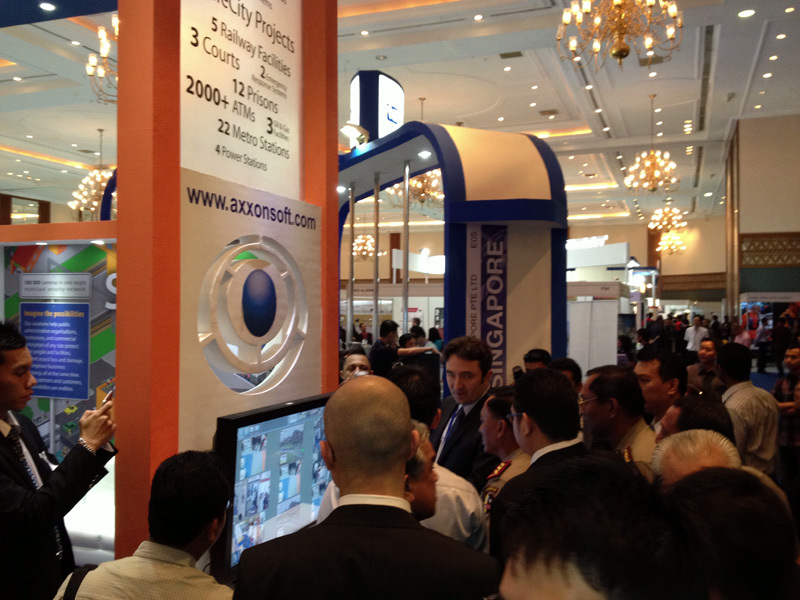 AxxonSoft's booth showcased the new Axxon Next video management software, including MomentQuest2 smart search, and vertical solutions based on the Axxon Intellect Enterprise PSIM platform: Face Recognition, ATM Security, License Plate Recognition, and Traffic Management. 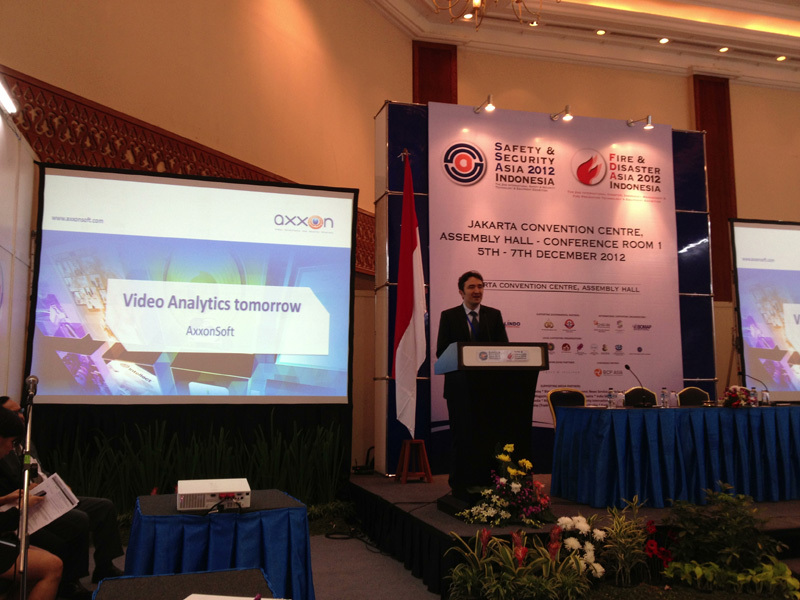 Murat Altuev, President & CEO of AxxonSoft, delivered a talk at the Indonesia International Security Conference 2012, held in conjunction with Safety & Security Asia 2012. 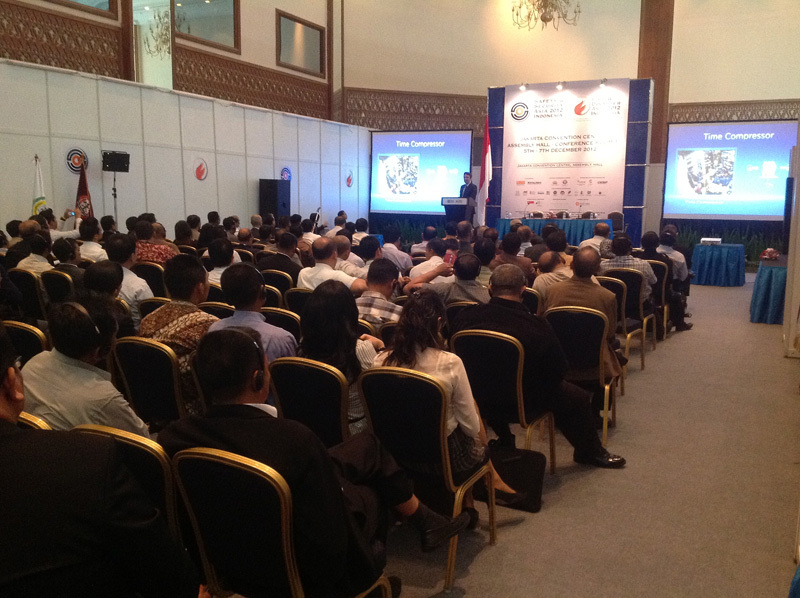 The title of his remarks was "Emerging Trends in Video Surveillance Solutions". Technology partners Arecont Vision, Axis Communications, Merit Lilin and YUAN showcased key products in conjunction with AxxonSoft offerings, demonstrating the effect multipliers offered by well-integrated hardware and VMS solutions. The Intellect PSIM platform and open-platform security management solution drew the attention of many visitors, who were eager to learn about the AxxonSoft advantage and the flexibility and effectiveness of integration with legacy security hardware. As a comprehensive security platform, Intellect connects with multiple security modules, among them License Plate Recognition, Face Recognition, ATM Security, and Fire and Access Control. Intellect has proven its worth in both commercial deployments and homeland security projects. A number of project enquiries were directed at Axxon-Certified Partners, who offered consultations to existing and potential customers at the AxxonSoft booth during the three-day event. Durairaj Gireraj, Asia-Pacific Director at AxxonSoft, was pleased with the results: "Indonesia is a vital market for us, one which embraced AxxonSoft with open arms when the company entered the Asia-Pacific market just a few years ago. Participation in SSA 2012 is a big deal for AxxonSoft: it provides a platform so our partners and end users can learn about new solutions and keep up with the latest innovations. Indonesia is an important market for us and we will continue investing to maintain our upward trajectory in this market. AxxonSoft's success in Indonesia would not be possible without the exemplary efforts and initiatives of our partners in Indonesia." 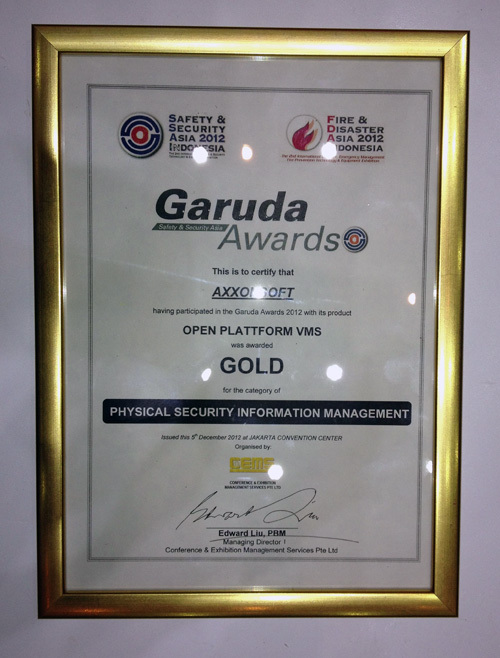 AxxonSoft’s Axxon Next platform was recognized with the Golden Garuda Award for the best VMS, while AxxonSoft was recognized as the best PSIM developer. 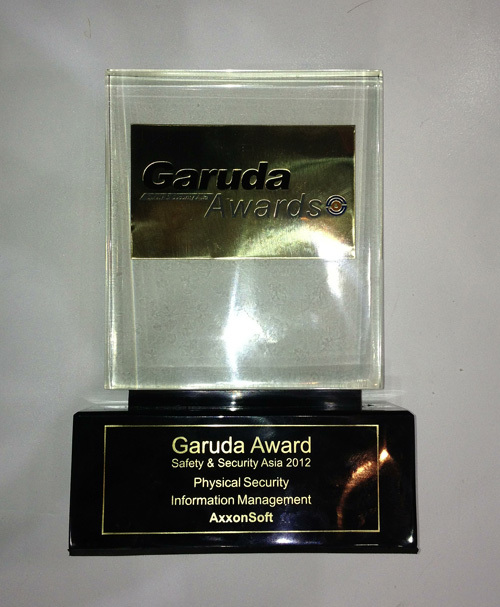 Given every two years, the Garuda Award is offered by a security alliance of industry associations and experts to honor industry-leading technology and innovations. 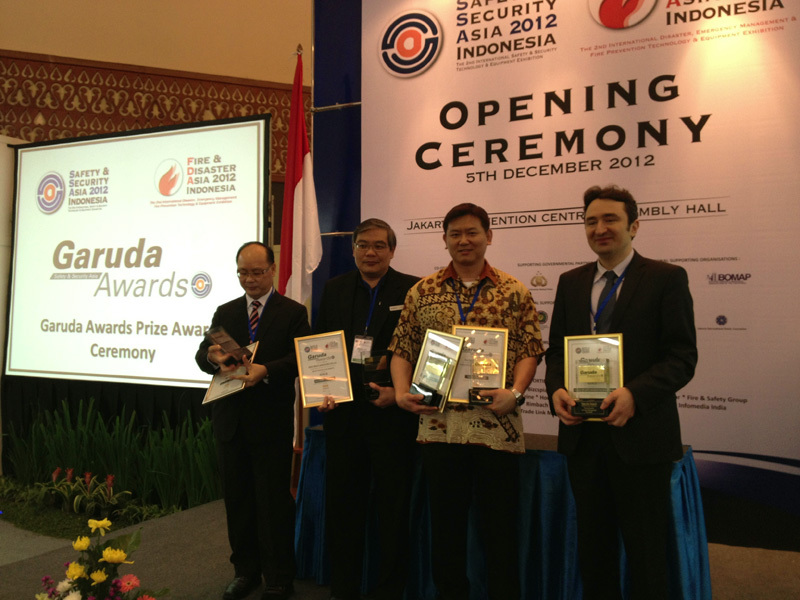 Receipt of the “gold” award reflects a keen appreciation of the product by the Asia-Pacific security community.